As a migrant butterfly, the Clouded Yellow is reliant on favourable winds for its journey from the warmer countries in Europe for its arrival in the UK during later spring months. 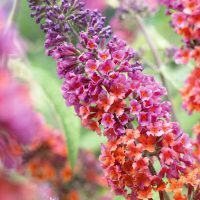 The number of butterflies that make the journey varies widely from year to year. With continued good weather conditions, the off-spring of these new inhabitants, may add to other new arrivals later in the season. The number of butterflies often peak late August, they may appear just about anywhere in the country, often in open countryside habitats, on meadows, hills and downs. 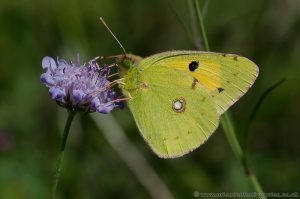 The Clouded Yellow is a fast flying butterfly, mostly seen on warm sunny days, flying low to the ground, standing out in flight due to its bright orange inner wings, stopping occasionally to nectar on wildflowers like scabious and Hawkweeds while searching for potential mates. 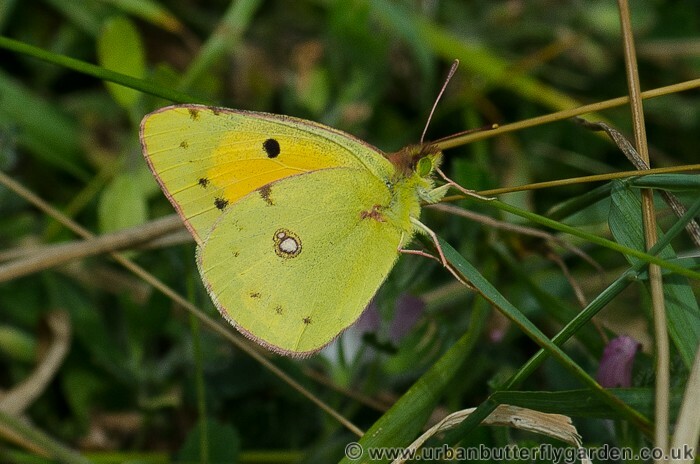 During times of cloud cover the clouded yellow will often rest in a sheltered spot in long grass or find a bare patch of warm soil, tilting its wings towards the sun. Habitat: Open Countryside, Meadows, Hills and Downs. 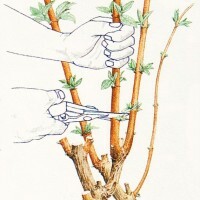 Note: Thanks to Max Maughan of EM Butterfly Conservaton.